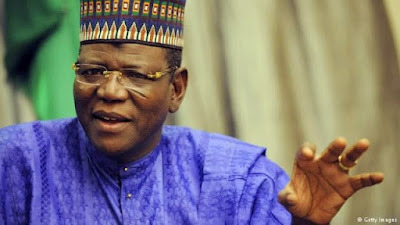 Former Governor of Jigawa State, Sule Lamido, on Tuesday met with former President Olusegun Obasanjo behind closed door in his hill-top residence in Abeokuta, Ogun State over his 2019 presidential ambition. It could be recalled that Lamido made a similar visit to the Former Military head of state Abdulsalami Abubakar two weeks ago amongst others as part of his nationwide consultations on his presidential aspiration in 2019. He had previously visited the former military head of state, Ibrahim Badamasi Babangida.